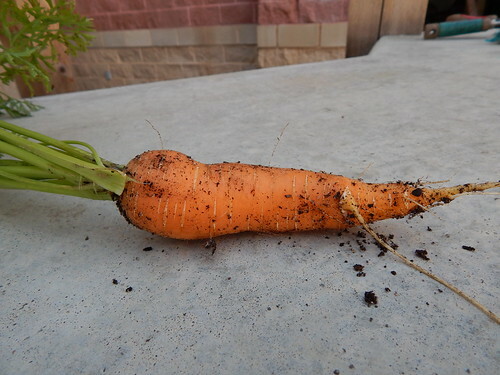 After we got all the compost into the raised beds on Tuesday, we had a few things to get planted. Because of our garden plans this year, we just had a couple things to plant here and there. 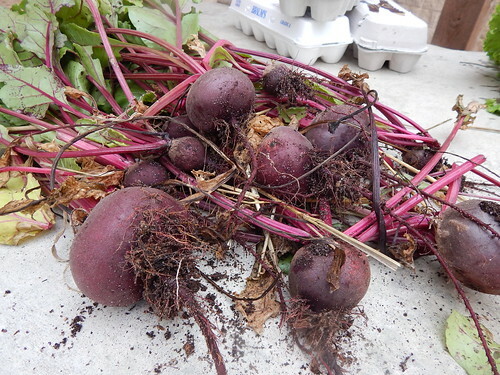 First, we had ‘Yukon Gold’ potatoes to plant in the MG Favorites Garden. Unfortunately, I didn’t get any pictures of the planting. We also had a bundle of ‘Red Marble’ cippolini onion plants to go in the ground. They came in the mail yesterday, so we needed to get them planted. The cippolinis are relatively small onions that are much flatter than normal onions. We chose them specifically for the Italian Garden, and then decided to plant the rest in the Salsa Garden, since we already had them coming. 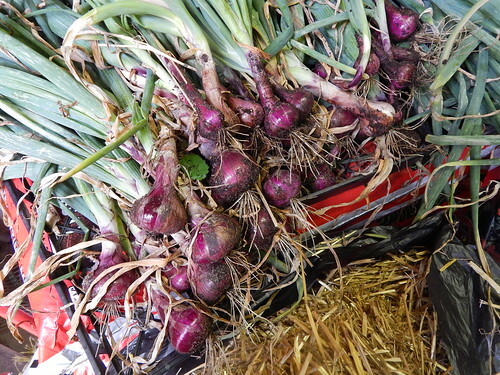 The plants for these onions were pretty small – smaller than I’ve seen before with other onion plants. I’m assuming it is because the end product is also smaller? 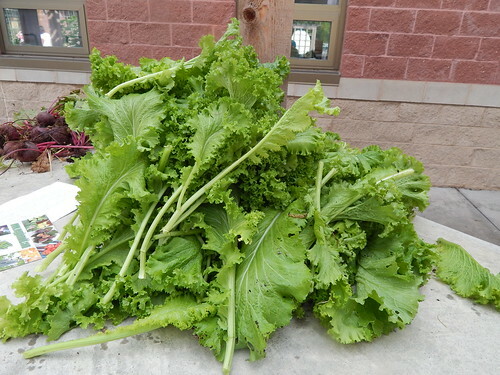 We also had some Lacinato Kale to plant in the Italian Garden and some ‘Parris Island Cos’ romaine lettuce for the Master Gardener Favorites Garden. These plants were started about a month ago, but I don’t think I ever got that on the blog. 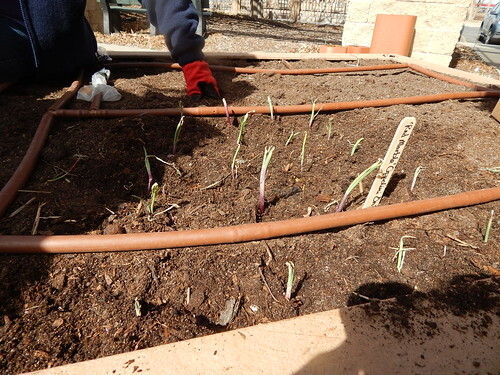 We planted spinach and radishes in the MG Favorites Garden in an area that will be under the trellis later this spring. We also planted spinach in the ‘Taste of India’ Garden. In the Italian Garden, we planted seeds of the endive/escarole mesclun and the ‘Italiko Rosso’ dandelion (red rib dandelion). Hopefully by next week there will be growing things to photograph! We had the first of our subcommittee meetings yesterday to work on the planning for Bed 1. I don’t know what I’m going to call this garden, because it is really three different parts all in one. 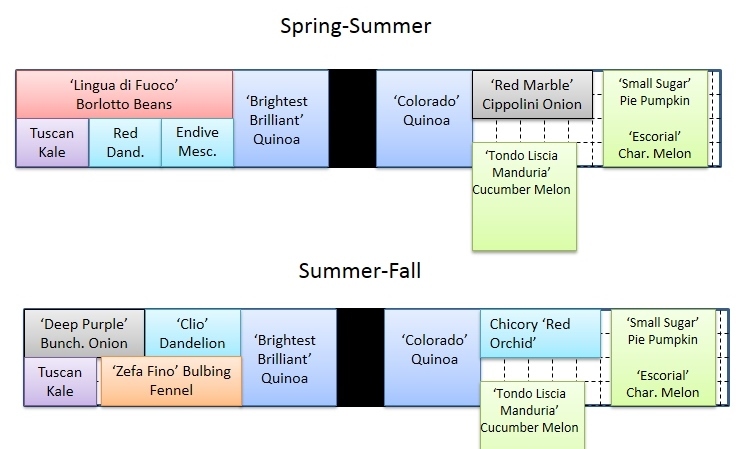 One end is the Vertical Garden, the middle part is Quinoa, and the other end is a Spring/Fall Italian Garden. Maybe I’ll have to nickname it the Conglomerate Garden? The Motley Mixed Garden? The Heterogeneous Garden? The Italicalnoa Garden? The Quinicalian Garden? I’ll take nominations! If you recall, this is the raised bed that has the two, 4’x4′ more raised areas in the center. Those two sections are where we will plant the quinoa. 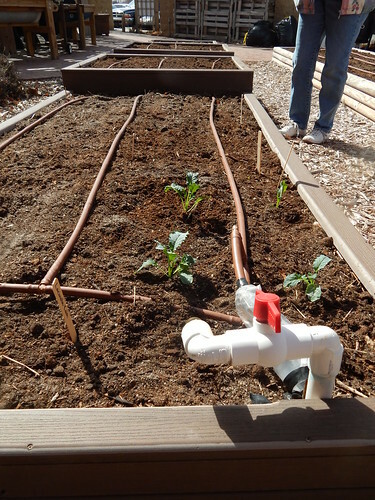 The Italian section of the garden features spring and fall vegetables, with the intention of exploring what there is beyond tomatoes and basil, the quintessential Italian foods. We had a lot of fun perusing the Seeds from Italy catalog and website and trying to find the best choices for different types of vegetables. 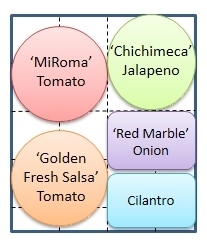 As you can see, the spring plantings include several types of greens, beans, and cippolini onions. The beans are a shelling type called ‘Lingua di Fuoco’ which translates to ‘Tongue of Fire.’ The pods have bright pink streaks! There are lots of types of chicories to choose from, including plain chicory, endive, escarole, and radicchio. We chose a couple “Italian Dandelion” varieties of chicory to try, an endive/escarole mesclun mix, and a red radicchio/chicory for the fall. We also will have Tuscan Kale growing all year. Sometimes the Tuscan type is called Dinosaur Kale, Nero di Toscano, or similar names. We are going to try a bulbing variety of fennel in the fall to see if it will produce, as well as some purple bunching onions. We are continuing to demonstrate some of the vertical gardening techniques, and the trellis/arbor over one of the walkways was such a hit last year that we decided to try it again. ‘Tonda Liscia Manduria’ Cucumber is an Italian cucumber melon that is fairly small, round, and has fuzzy skin. It tastes like a cucumber when young and ripens to taste more like a melon. ‘Escorial’ Melon is a Charentais-type melon. 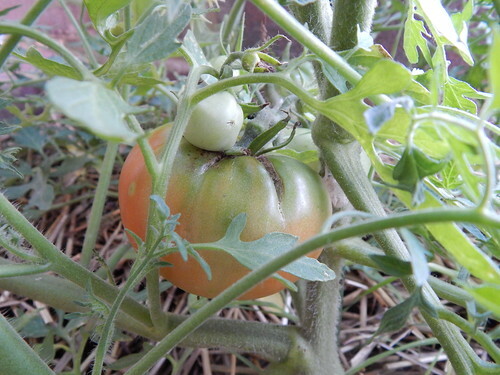 It is earlier maturing and hopefully will be less crack-prone than the heirloom Charentais melon. ‘Small Sugar’ Pumpkin is a pie pumpkin that produces sweet, 4-6 lb pumpkins. I’m looking forward to pie this fall! Quinoa is a Chenopodium, which means that it is going to look a lot like lambsquarter/goosefoot when it starts growing. The flowers/seed heads are supposed to be beautiful colors, which we are all looking forward to. Depending on how hot it gets for how long this summer, we may or may not get a seed crop, but it should be interesting to try growing it! We chose the ‘Brightest Brilliant’ mix and ‘Colorado’ and the two varieties to try.